After working at my current job for about six years, I decided to interview for a position with another firm. I like to think I know my automation stuff, but I was completely caught off guard. I was being asked developer-type questions about Java that I wasn’t expecting. Needless to say, I didn’t get the position. Fortunately, as it has turned out, I ultimately decided to stick with my current company and never really thought more about that interview. Until that is, I started hearing from folks like Angie Jones and T.J. Maher about how that interview experience has actually become the norm. So what do you do if you’re a great automation engineer but might be weak on more formal programming concepts? That’s just one of the reasons I was excited to have T.J. Maher join the 2018 Automation Guild Conference & Community to discuss How to Pass a Coding Interview. In this session, T.J. describes how he experienced the same thing I did when he was interviewing for a new position. After finishing his gig at Fitbit and searching for new positions, he realized that the screening process had changed a bit. He was introduced to the dreaded whiteboard coding interview and talks about how stressful it can be. What I especially love about T.J.’s session is that he simulates what a whiteboard coding interview feels like by sharing a timed coding example of what one might experience during an interview. T.J. then demonstrates step-by-step how he would work through a coding interview example and shares some awesome tips and tricks to give you confidence during your next interview. Why are automation engineers being asked developer questions? With software developers now a major part of the industry process, companies are screening automation developer candidates to ensure they have at least a basic understanding of the fundamentals of the language in which they will be coding. And whiteboard coding tests are the best solution they can come up with. Software developers don’t consider the questions they are asking automation developers to be too difficult; they’re not asking candidates to solve the Tower of Hanoi, John Conway’s The Game of Life, or a tic-tac-toe simulation. Or shuffle a deck of cards or any of the other programs they did as a computer science major. Most of the coding examples they use are what they consider to be basic programming questions. Dealing with loops, some basic math, and some string and character manipulation. So why was I finding it so difficult? T.J. believes that the difficulty usually has to do with whiteboard questions since this interview technique might be outside your wheelhouse. 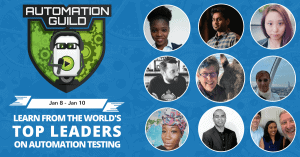 So if you haven’t been on an interview in a while, or are planning to start interviewing for a new test automation position you don’t want to miss this session. Register today and watch T.J. show you what it takes to be a Zen master for any whiteboard question-type interviews you might encounter.